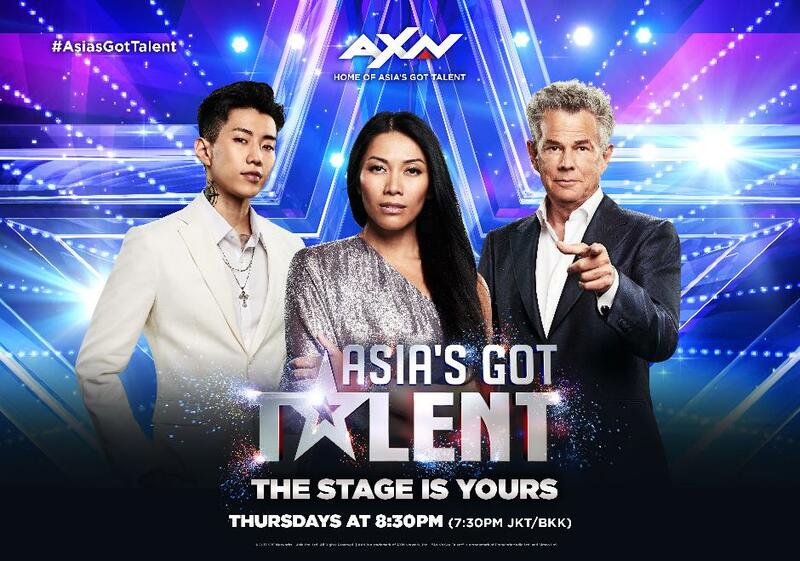 AXN announced today that the premiere date of the highly anticipated return of Asia’s Got Talent is slated for Thursday, October 12, 2017 at 8:30pm. The hit-rated series, which broke regional pay-TV ratings records in 2015, will burst onto screens across Asia, featuring over 165 dynamic acts representing 15 countries. “The region’s favorite entertainment series is back and it’s more mesmerizing, dazzling, spell-binding, and funnier than ever before. The first season of Asia’s Got Talent inspired a whole new generation of performers to audition this year and take a shot at their dreams. As a result, AXN viewers can expect a powerful season in both the quality of the acts, as well as the storytelling that supports them,” said Virginia Lim, Senior Vice President and Head of Content, Production and Marketing, Sony Pictures Television Networks, Asia. As the world’s biggest talent contest, Asia’s Got Talent invites acts of any age and with any dream to compete for a USD100,000 grand prize. The new season will play host to a myriad of acts spanning multiple genres including magic, dancing, singing, instrumental, martial and visual arts and some more unusual acts that are too tricky to define. The judges, 16-time Grammy-award winner and music producer David Foster; internationally acclaimed singing sensation Anggun and newcomer to the series, multi-platinum recording artist Jay Park, are in the hot seat to determine who goes through to the next round in the first five episodes, but it’s the audience – the ‘fourth judge’ – who will vote in the semi-final episodes to determine the ultimate winner. Adding color commentary to the series are the dynamic new hosts Alan Wong and Justin Bratton who are the contestants’ cheerleaders from side stage. “Every act that we meet has a story and a dream. We feel privileged to be supporting the region’s most outstanding performers as the hosts of Asia’s Got Talent,” said Alan. AXN is a leader of regionally produced original content in Asia, with notable ratings successes including the hit-rated, award-winning Asia’s Got Talent, five seasons of the international Emmy-nominated The Amazing Race Asia; the Asian Television Award-winning Cash Cab Asia and Cash Cab Philippines; The Apprentice Asia; and the Asian Television Award-nominated Cyril: Simply Magic. Sony Pictures Television Networks operates branded entertainment channels reaching over one billion households around the world. Based in Culver City, Amsterdam, Budapest, London, Madrid, Miami, Milan, Moscow, Mumbai, Munich, Singapore and Tokyo, Sony’s linear and digital networks offer high quality film and television content from Sony Pictures and third-parties, as well as original content commissioned globally and locally. Sony Pictures Television Networks is a division of Sony Pictures Television Inc., a Sony Pictures Entertainment company.